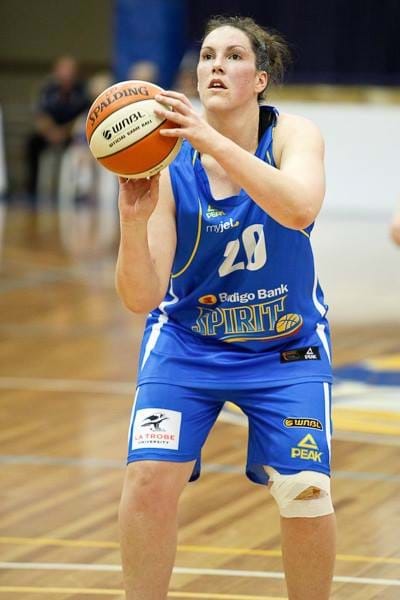 Local Bendigo Spirit basketball star, Gabe Richards, will receive a WNBL life membership on Saturday in recognition of her dedication and longevity in the competition, having played 270 games in the WNBL. Richards will be awarded the life membership at the Bendigo Spirit's final game of the season at Bendigo Stadium. She also holds records for the Bendigo Spirit, including 234 games played, she's scored 2930 points, has had 1835 rebounds and 150 blocks. Richards isn't the only one receiving a life membership on Saturday, with fellow Spirit player Nat Hurst receiving one, alongside Kelly Wilson, who plays for Canberra who used to play for the Spirit.